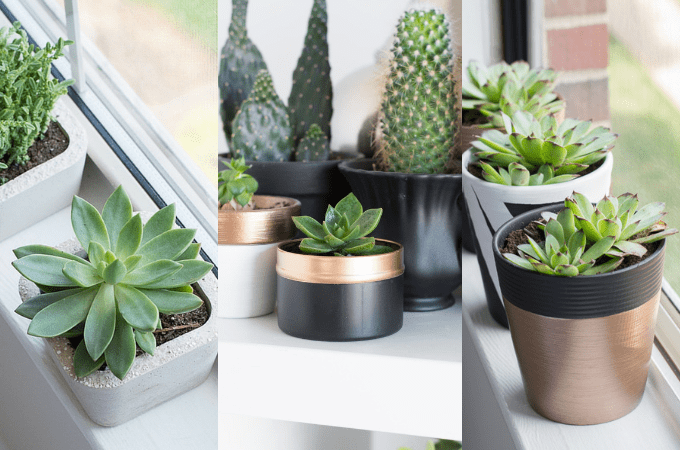 I’m sharing another Homedit post today…this time it’s about how to make modern mini painted plant pots! 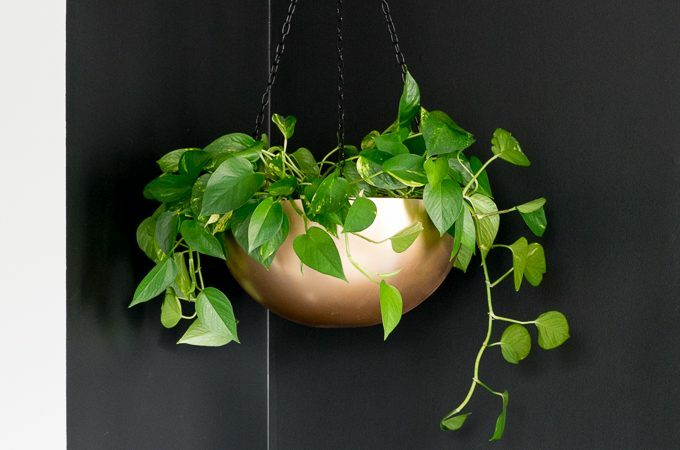 Plants are such an easy way to give your home decor some life—literally—and some extra color, whether it’s through the plant itself or the planter you decide to put it in. I typically like to get plain terracotta pots and paint designs on them. Today I am sharing an easy pot makeover tutorial on using DecoArt Americana Decor Metallics in Antique Bronze, DecoArt Americana Decor Satin Enamels in Warm White, and Rust-Oleum Painter’s Touch in Flat Black, plus FrogTape! 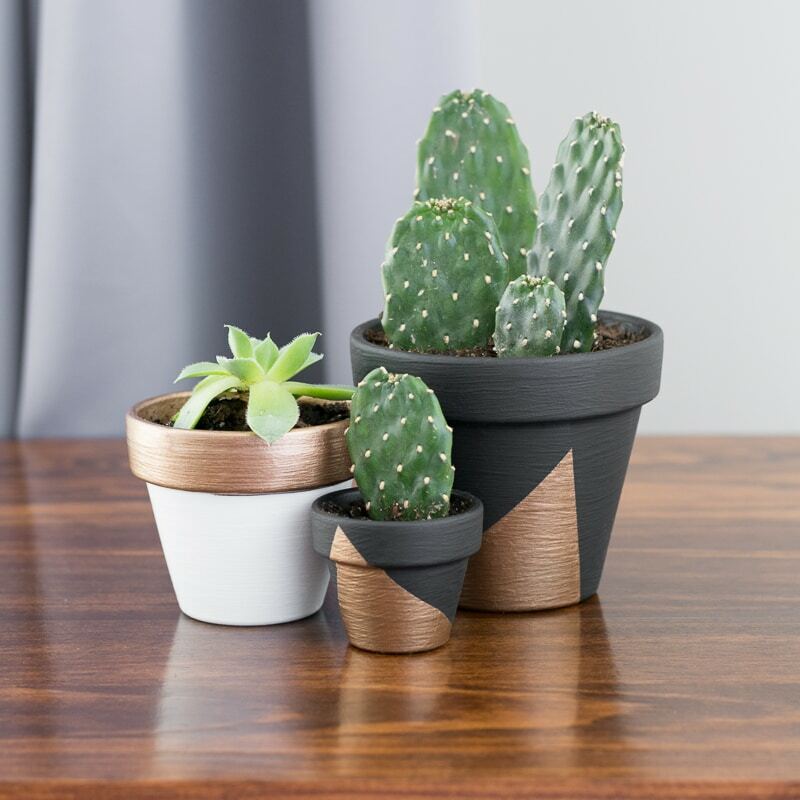 To check out the full tutorial for these mini painted pots, head over to Homedit! 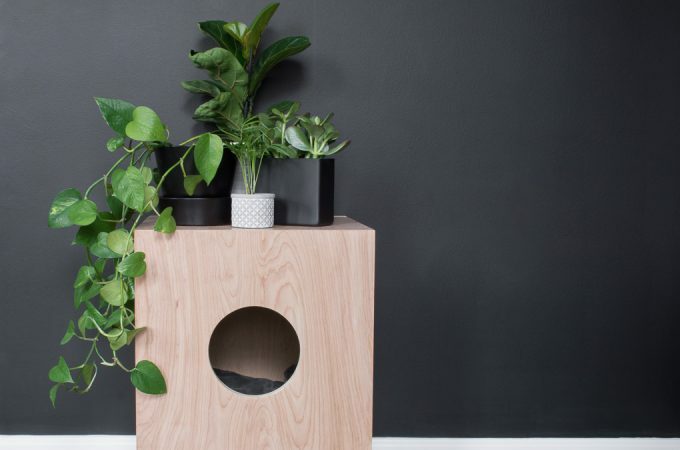 Or…Pin this project for later! 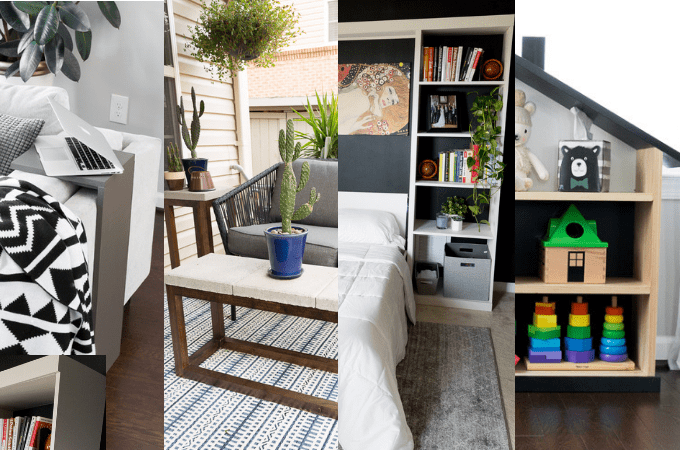 Previous Post: « Living Room Update #1: We Have a Black Wall!